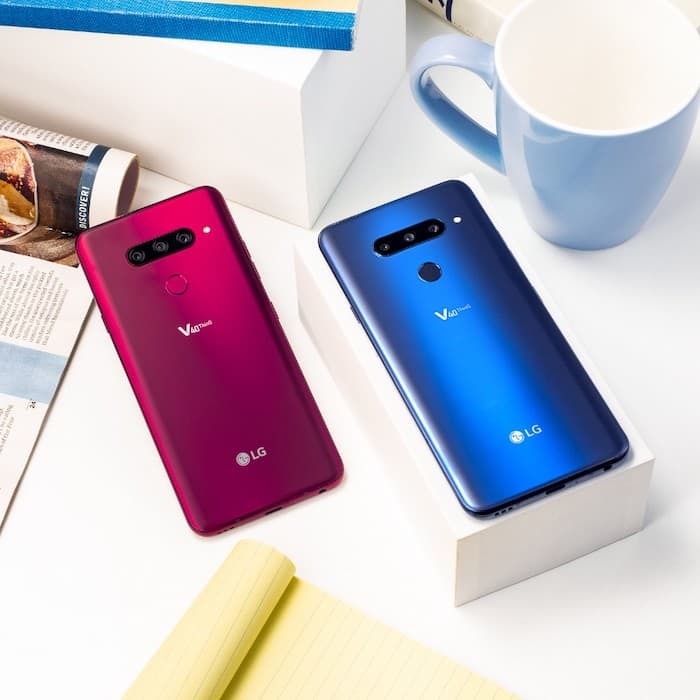 The LG V40 ThinQ was made official last month and now LG has started to take pre-order of the handset in the US. The handset is available to pre-order from a range of carriers which include AT&T, T-Mobile and Sprint and also retailers like B&H Photo for $949. As a reminder the device comes with a 6.4 inch display with a QHD+ resolution of 3120 x 1440 pixels. The handset is powered by a Snapdragon 845 processor and it features 6GB of RAM and a choice of 64GB or 128GB of storage. The device comes with three rear cameras, which include one 16 megapixel super wide camera, one 12 megapixel telephoto camera and one 12 megapixel standard camera. On the front there are two cameras, one with an 8 megapixel sensor and the other a 5 megapixel sensor.